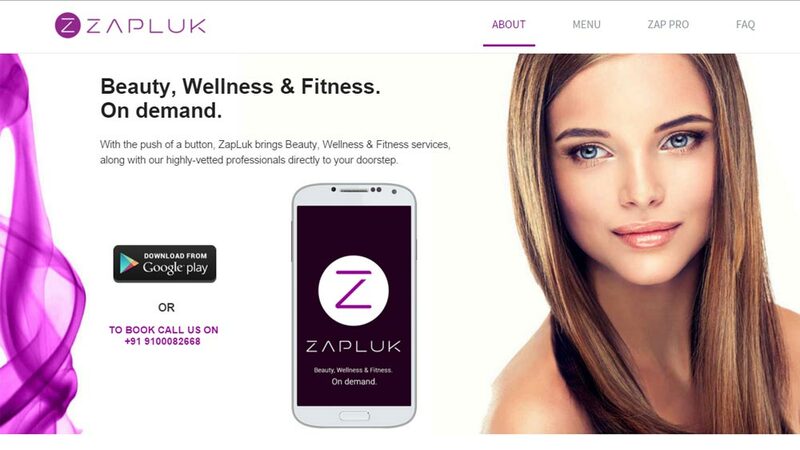 Hyderabad-based beauty and wellness app, Zapluk has raised an undisclosed amount of angel funding from former MD of Apple India and others. The start-up has plans to utilise the funds to scale its operations, marketing and strengthening its back-end team. Co-Founded by Manan Maheshwari, Mahesh Teja Gogineni and Chakradhar Dandu, Zapluk is an on-demand beauty, wellness and fitness app that helps customers book their appointments for home at their preferred time. The start-up offers services like grooming and at-home spa. As claimed by the company, it processes an average order size of Rs 1500 a day. Notably, the platform has reviews updated for various doorstep services so that customers can book an appointment on the basis of ratings and reviews. Of late, the beauty and wellness sector is abuzz with a lot of investment and acquisition activities. Last week, StayGlad raised series A funding of Bessemer Venture Partners and Anil Chopra former CEO Lakmé Lever. Similarly, a few days back, BigStylist raised $1million from Info Edge. Furthermore, last month itself, wellness services marketplace Gomalon acquired Bookmyspa.